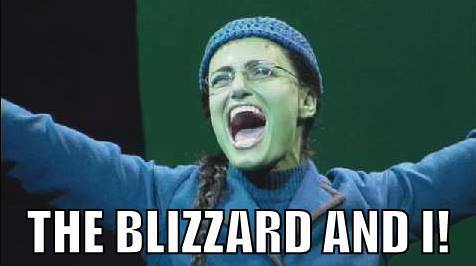 Most Broadway and Off-Broadway shows will be running tonight despite previously projected "historical blizzard"
Enact legislation guaranteeing women equal access & opportunity for employment in government funded arts organizations. Legislation should be enacted whereby any arts organization or institution that is receiving city, state or federal funding should be mandated to allocate an equitable portion of that funding to women artists, thereby ensuring that they receive grants and/or employment opportunities that are traditionally denied them. For example, in the American Theatre women receive less than 20% of production opportunities nationwide. With this new legislation, women theatre artists across the board-playwrights, directors, designers, etc. -would have a fair shot at working and/or creating in their chosen field. Commercial producers will continue to produce whomever they choose-man or woman. But, when government monies are involved there should be a mandate for parity in the disbursement of those dollars. When first noticing his wife at the age of sixteen, Sam could not predict the profound connection they would share-they are two halves of the same whole. 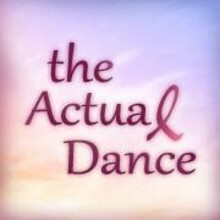 In their 33rd year of marriage, that love was tested...and the ringing in Sam's ear was not as one would expect, in fact it was an orchestra, playing the music of his life--The Actual Dance. 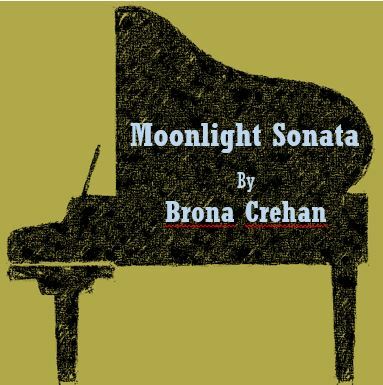 Moonlight Sonata, written and directed by Brona Crehan and featuring Grainne Duddy, made it to the finals at Manhattan Rep's winter one act competition. Thirty plays participated and six move on to the finals on January 29 and 30 at 6.30pm and 9.00pm each night - so four more performances. We are delighted that Moonlight Sonata will be one of the lucky six. "Brava Brona and Grainne! Lovingly rendered character, strength and intellect of a parent with the wounded heart and vulnerability of a child." RESERVATIONS for THE FINAL SHOWDOWN performances will open up on MONDAY MORNING January 26 at 9 am.